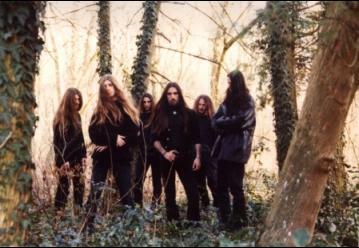 MAKROTHUMIA was formed in 1994 by Karban Edmond and Varga 'Pippen'. M. Gabi brought the idea of the name. MAKROTHUMIA is the capacity of conscience, to realize what you really do. MAKROTHUMIA is the high resistance of the mind in front of action and emotion. The first line-up of the band was: Varga Pippen-vocals, Karban Eduard- guitars, Mafa Gabi-drums, Vaszilcsin Ina-violin and keyboards, and Demenescu 'Deme' Florin-keyboards. At Buzau Top'T'95 (the most important Romanian underground festival) Makrothumia was "The best new death/doom/black metal band". In May 1995 the band recorded (in only 8 hours) the first demo - "Four Stories About Nothing". The line-up featured at that time V. Pippen on vocals V. Ina on keyboards and violin. 1996 meant lots of lives appearances and creative work. 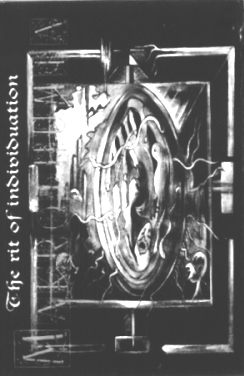 In a new line MAKROTHUMIA recorded in may 1997 the first L.P. - "The Rit of Individuation". An 8 track journey into the collective unconscious's archetypes world ... courtesy of MAKROTHUMIA and its progressive/doom/death metal style.